Based upon their outstanding performance last year, Nate Skow, Senior Partner, and Bud Harrison, Partner, have been named Top Account Executives in the Midwest Region. Nate Skow has been named the MRINetwork Team Account Executive of the Year for the Midwest Region and was given the gold award at a recent recognition ceremony. In addition, Bud Harrison has been named the #3 Team Account Executive of the Year for the Midwest Region and was given the silver award at the ceremony. 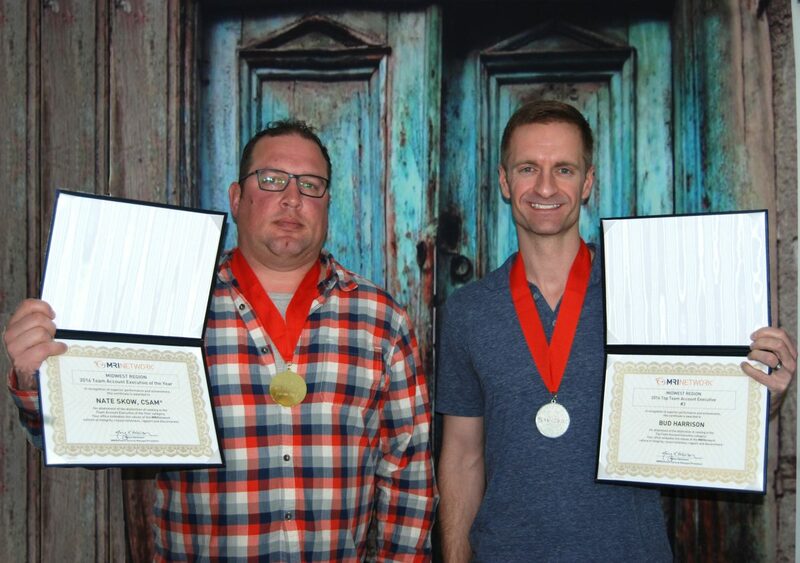 Both Nate and Bud qualified for the annual MRINetwork Pacesetter award trip for 2016. Nate Skow and Bud Harrison have both been with hireneXus for over a decade. Nate specializes in the manufacturing area and focuses on helping private equity companies fill vital leadership roles. Bud specializes in healthcare and nursing leadership across the United States.